Summer’s here, and we all know what that means: warm, sunny evenings, the occasional bug bite, and the smell of a grill somewhere nearby almost every night! 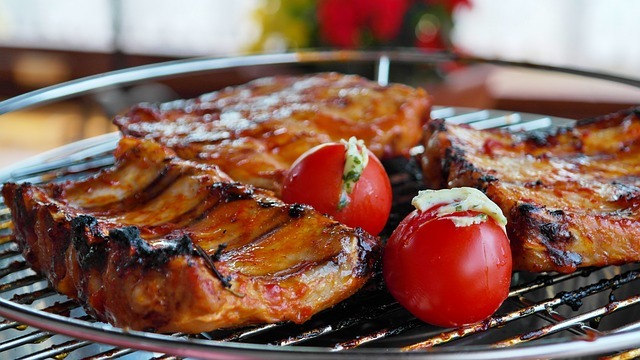 Cookouts are a staple of summer fun, especially when you’re able to spend time with plenty of friends and family, or are celebrating a special event. If you personally watch what you eat due to a gluten sensitivity or total allergy, then you’re probably already aware of all the recipes and tips needed to prepare a fully safe (and delicious) lineup of food to serve at an outdoor gathering. But if you’re here because you plan to grill out soon and want to offer tasty, gluten-free food options to any special guests, then you’re probably looking to learn more about what to even serve, let alone how to properly handle your dishes and prepare your kitchen. If that’s the case, then you’re in the right place! We’ll get to the gluten-free recipe list in a minute, but we should discuss all the important food-handling tips first, so you can think about and decide what you’re going to prepare for the big day with all the information you need. For starters, let’s understand and differentiate between the important reasons why your guests might have special requirements when it comes to food products that include gluten. Any of your guests that live with Celiac disease or a significant wheat allergy are not only not able to consume foods that contain gluten, they are not able to have any foods that have been prepared with the same pans, utensils, surfaces, or oils in which gluten-based products have already been prepared. In some cases, even having your usual food options share the same environment with your gluten-free preparations can open up the possibility of cross-contamination, which for some people can cause serious illness or even be life-threatening. For this reason, it’s important to prepare or cook the gluten-free choices you plan to provide the day of before you incorporate any of your other usual food options into your cooking space. Before beginning, it’s also extremely important to sanitize hands, surfaces and dishes you plan to use to cook your gluten-free options. Please remember that if your guest’s celiac disease or wheat allergy is important enough for you to know about and want to prepare food for, it’s equally as important to go the extra lengths to protect that guest from the potential dangers of cross-contamination. It’s always better to be safe than sorry! The other kind of guest that you might be preparing for is someone with a gluten sensitivity. This condition and its effects vary per person, but in most cases do not require the same efforts that the aforementioned diseases do – be sure to check with your guest about whether or not they are as carefully mindful of cross-contamination in their own homes or when dining out, and then you’ll know for sure what you need to do to fully accommodate their needs. So now that when know all about how important it is to prepare food properly and how to do so, just which foods exactly are going to be safe and yummy enough for everyone to enjoy themselves at your cookout? We’ve compiled a list below, but it’s also always a good idea to double-check the food products you expect to prepare gluten-free options with. Please be aware that it is most likely safe to go with any products openly labelled as “gluten-free,” but you should still be on the lookout for ingredient and allergen listings containing for any sort of grain (including wheat, barley, rye, oats, malt, or brewer’s yeast). As a rule of thumb, any plain meat, seafood item, fruit, or vegetable is always going to be safe – it’s just whatever pre-applied seasonings or dressing, oils, and other condiments you might prepare it with that you need to pay attention to. To add to that list, most plain dairy items and vegetable oils are safe as well – just be sure to double-check! Hamburgers and hot dogs are a staple at summer cookouts! Be sure to prepare them on a sanitized grill with safe seasonings, and have gluten-free buns readily available to prevent your guests from eating with forks and knives. Ribs are also great on the grill, but usually not so great completely plain! Pick up some Sweet Baby Ray’s or Jack Daniels master blend BBQ sauce to offer with your ribs, since most sauces in both lines are safe for gluten-free diets. Kebabs are an excellent option since you can combine a variety of awesome, naturally gluten-free flavours, and toss them on the grill as well! Try making your own with diced chicken, bacon, and veggies like onions and bell peppers such as spicy Moroccan pork and pepper kebabs! Deviled eggs are a simple side, and can be very versatile! Spice yours up with chopped veggies, garnish, or safe seasoning to really wow your guests! Plain corn, surprisingly, is a lovely gluten-free option that can be served on the cob over the grill, or off the cob as a side dish. Be sure to have the appropriate toppings available to suit your guests’ preferences! Baked beans are yet another common cookout staple – if you’d like to offer them and still save time, be sure to pick up a can or two of Bush’s baked beans, since their brand promises on their website that all of their canned bean products are completely gluten-free. Salads, healthy and delicious salads to go with your cook-out check here! Fruit Salad is always an awesome and easy option since fruits are naturally gluten-free. But if you’re really looking to surprise and please your guests, you can find a whole list of in-depth and intricate gluten-free desserts to try on your own here! So now that you’re all informed, what are you waiting for? Fire up the grill, get chopping, and enjoy both your own delicious creations, and the look on your guests’ faces when they see what you’ve done to prepare for them!